Mountcastle: "PUNITIVE WAR: Confederate Guerrillas and Union Reprisals"
The publication of Mark Grimsley's The Hard Hand of War (Cambridge, 1995) popularized the term 'hard war' to describe the harsher turn in the conduct of Union forces toward southern civilians in the wake of the perceived failure of a policy of conciliation. Major Clay Mountcastle's new book Punitive War: Confederate Guerrillas and Union Reprisals also centers on the focus and degree of destruction wrought by Union armies, but in the specific context of retaliation and collective punishment, both borne out of the frustrations inherent in combating irregulars. 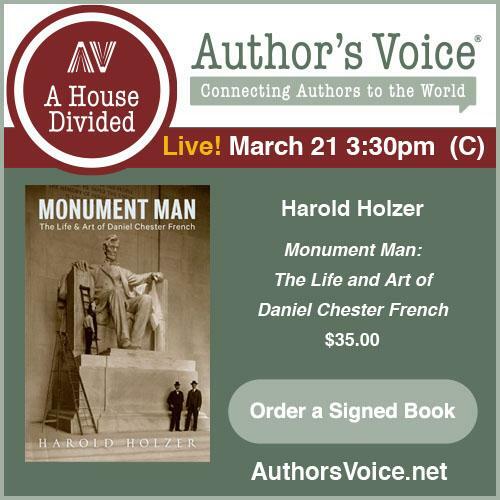 In four lengthy chapters, examining in turn the regions of Missouri, the Mississippi River Valley, the interior of Mississippi and Georgia, and finally the Shenandoah, Mountcastle documents the Union army's punitive war as it swept from west to east. John Pope's tenure guarding railroads in northern Missouri is outlined, emphasizing how his policy of collective responsibility resulted in increasingly indiscriminate destruction of private property in the wake of widespread guerrilla violence. Ineffective and arbitrary, the policy was rescinded by Pope's superior, only to reappear throughout the rest of the country, moving next to the Mississippi River Valley, where numerous towns and swaths of riverfront properties were incinerated in retaliation for firing into supply and transport ships. It mattered not whether the offending fire came from regular or irregular enemies. William T. Sherman's 1864 Meridian Campaign was a further proving ground for punitive war. Mountcastle perceptively notes that the west to east surge in the scale of retaliatory destruction was roughly paralleled by the geographic reassignment of ranking officers [in addition to Pope and Sherman, Henry Halleck, U.S. Grant, David Hunter, and Philip Sheridan all spent significant time in Missouri before heading eastward] that experienced guerrilla warfare from the war's earliest moments. Of course, punitive war was not new to the eastern theater with the arrival of Grant and Sheridan in 1864 (it had raged in the wilds of western Virginia and other places from the beginning), but its scale and earnestness expanded exponentially in roughly the geographic sequence mentioned above. Mountcastle's convincingly rejects portions of Grimsley's picture of focused material destruction performed by morally sensitive and "politically aware" Union soldiers. But the author's disagreements with Grimsley's work pale in comparison to those he has with Mark Neely's The Civil War and the Limits of Destruction, a deeply flawed work that massively understated the geographic sweep and scale of guerrilla warfare as well as civilian property loss. The author is also critical of historian Robert Mackey's contention that Union forces developed original and successful strategies that ultimately defeated pro-southern irregular insurgents. While the farm colonies of northern Arkansas are conceded as a small victory, Mountcastle finds no real evidence of any coherent and widespread strategy that led to demonstrable success. On the other hand, one might consider that Mountcastle discounts too much the Union army's eventual ability to substantially abate, if not totally eliminate, the scale of the guerrilla menace in certain areas. Much of this may have been due to the disillusionment of a collapsing cause rather than skillful counterinsurgency, but it should be recognized. Mountcastle's common thread throughout his study is his assertion that guerrilla warfare was the primary force behind the application of hard war to wide areas of the South. While this might strike many readers as a bit too reductive, given all the other possible and likely contributing factors (among them high Union casualties, stubborn Confederate conventional resistance, and emancipation aims), but his argument is persuasive nonetheless. He also points out an important logical inconsistency in the Federal policy of holding area civilians responsible for guerrilla attacks. If the Federals themselves could no control their men within the regimented hierarchy of the military, how could southern civilians be expected to control heavily armed, and often criminal, bands of partisans and guerrillas? The question reminds us yet again of the need for a scholarly examination of discipline in the Union army*. At less than 160 pages of main text, the author makes full use of the available space in presenting his arguments. While the lack of overwhelming detail inherent to works of this length may fail to impress more intransigent critics, those readers more familiar with the outpouring of local and regional guerrilla studies published in recent decades should find Mountcastle more than persuasive. In the end, while a number of influential scholars have effectively refuted the most strident Lost Cause claims of wholesale murder, rapine, and destruction in recent decades, it also seems that they have gone too far in minimizing the true extent of the material (and perhaps even bodily) destruction inflicted on the southern civilian population. Clay Mountcastle's Punitive War is a much needed corrective to this modern over-correction. Paired with Daniel Sutherland's recent work A Savage Conflict, this book provides an up-to-date and scholarly overview of the role and consequences of guerrilla warfare during the Civil War. It is highly recommended. * - Hopefully, just such a work is on the way in Steven Ramold's Baring the Iron Hand: Discipline in the Union Army (Univ. of Northern Illinois Press, 2009 forthcoming). 1. Army Life: From a Soldier’s Journal by A. O. Marshall, edited by Robert G. Schultz (Univ. of Arkansas Press, 2009). Part of Arkansas's Civil War in the West series, Marshall's memoir (originally published in 1884) of his military service as a private with the 33rd Illinois Vol. Inf. regiment has been treated to a new annotated edition. Bob Schultz has published a number of books dealing with the Civil War in Missouri, so it's a pretty good match of editor with material. 2. Civil War Macon: The History of a Confederate City by Richard W. Iobst (Mercer Univ. Press, 2009). This is the new paperback edition of Iobst's city study, first published in 1999. It's a lengthy (over 450 pages) and detailed military, economic, and social history of the city from 1860 through 1865. 3. The Union Indian Brigade in the Civil War by Wiley Britton (Kansas Heritage Press, 1995). In 1995, KHP reissued Britton's classic in a really nice black cloth facsimile edition (ISBN: 1878882066). Fetters: "THE CHARLESTON & HAMBURG: A South Carolina Railroad & an American Legacy"
Roughly paralleling the inland course of the Edisto River and its South Fork, The Charleston & Hamburg Railroad eventually stretched for 135 miles (located directly across the Savannah River from Augusta, Georgia, Hamburg was an important market town). 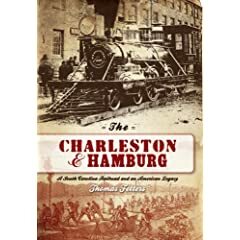 Thomas Fetters's book The Charleston & Hamburg: A South Carolina Railroad & an American Legacy traces the history of the railroad from its 1827 charter through the end of Reconstruction. It's a well organized and fascinating overview of evolving transportation means and technology. Detailed discussions, lists, and drawings of the various locomotives and passenger/freight cars are included. Biographical sketches of a number of individuals important to the line's development are also provided. The volume is profusely illustrated, with probably as many maps, photos, and drawings as pages. A number of maps trace the extent of the railroad at various stages of its development, as well as the growth of the transportation network in the state of South Carolina as a whole. Others show the extent of damage to the rails by the Union army during General William T. Sherman's march through the state. One illustration I really would like to have seen is a drawing of the "planes" at Aiken, a fascinating-sounding mechanical apparatus that allowed the train to travel across the large elevation drop at Aiken, South Carolina in the shortest distance possible [something like the railroad equivalent of a canal lock]. The Civil War section covers roughly twenty pages, centering on the Union army's efforts at rendering the C&H's tracks, engines, and cars useless to the Confederates when the Federals passed through the state. The Confederate system of railroad management (or mismanagement) is also touched upon. There are some errors and lack of attention to detail. For instance, Fort Sumter was certainly not "back in Union hands after the first months" participating in the bombardment of Charleston (pg. 115), nor was Robert E. Lee still directing the coastal defenses in the fall of 1862 (pg. 117). It is readily apparent that the book is a labor of love for Fetters and a great deal of research went into it, but its value as an authoritative reference work is lessened by the decision to not include notes, a bibliography, or an index. Nevertheless, the early American railroad enthusiast will find this volume to be a fine addition to his library, and Civil War students can also glean useful information from it about Sherman's march of destruction through the state. 1. Brett Schulte has a new website/blog/resource compilation all-in-one Petersburg Campaign project online. Check it out at: Beyond the Crater: The Civil War Petersburg Campaign Online. 2. Given its widespread consideration as a backwater military front, the Civil War in Florida has actually been accorded a fair amount of coverage in the literature, and it looks to continue. Back in 1984, Daniel Schafer published Jacksonville's Ordeal By Fire: A Civil War History (Florida Publishing Co.), and, next spring, University Press of Florida is set to release his new book Thunder on the River: The Civil War in Northeast Florida . I understand from his blog that Eric Wittenberg is the author of the Brandy Station volume. Being a western guy, the Okolona study will be of interest. There doesn't appear to be a webpage devoted to the series yet, but the publisher's new website is up. Petruzzi & Stanley: "THE COMPLETE GETTYSBURG GUIDE"
Titular grand pronouncement aside, J.D. Petruzzi and Steven Stanley's The Complete Gettysburg Guide is one of those rare books that meets or exceeds expectations in almost every regard. Field trampers interested in walking the ground where the fighting occurred during the Gettysburg Campaign, from the smallest skirmish to the largest pitched battle, are in for a treat. In addition to the tours of the three days of fighting on the 'primary' battlefield immediately surrounding the town of Gettysburg, separate chapters are devoted to Brinkerhoff's Ridge, East Cavalry Field, Marsh Creek, Hunterstown, and Fairfield. The final third of the volume is devoted to town of Gettysburg, cemetery, hospital, and rock art guides. The tours, penned by Petruzzi, are accompanied by the full range of photographs (modern and archival) and maps. The touring directions, helpfully secluded in green shaded boxes for quick access, are succinct and do include GPS coordinates. The narrative is equally pleasing for both field work and armchair reading. In terms of presentation, this full color volume is easily the most stylistically impressive Civil War volume from publisher Savas Beatie. The cartography of Steven Stanley is exceptional, never cheating on detail, from the regimental scale movements and picket line locations to the elevation contours and extensive inventory of natural and man-made terrain features. Not only does the owner of this book have a series of excellent touring guides, but also a top notch battlefield atlas (perhaps the best collection of Gettysburg maps anywhere in a single volume). The material quality also matches the presentation. The book's sturdy construction and thick glossy paper should stand up to repeated use. Most guides are not annotated, and this one is no exception, but there is a full bibliography and index. Undoubtedly, obsessives can quibble here and there about what's 'missing', but this volume is likely to be the Gettysburg traveler's standard guidebook for the foreseeable future. 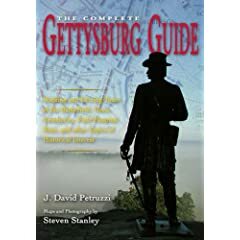 The Complete Gettysburg Guide is easily the best, and most well rounded, book of its kind, and is a highly recommended addition to the bookshelf of any Gettysburg enthusiast (and we know there are a few of those). Preston: "THE CIVIL WAR IN THE BIG SANDY VALLEY OF KENTUCKY, Second Edition"
The Civil War in the southeastern corner of Kentucky is one of the Bluegrass State's least studied regions of conflict, and John David Preston's The Civil War in the Big Sandy Valley of Kentucky [Gateway Press, 1984] was the first specialized book length study on the subject. Long out of print and difficult to find, the book has now been reissued in a lengthier, vastly improved Second Edition. The four Kentucky counties of Floyd, Johnson, Lawrence, and Pike comprise Preston's primary area of study. As with the earlier edition, the new book undertakes a demographic analysis of the area's residents, seeking to uncover useful patterns in predetermining Union vs. Confederate sympathies. The conclusions are unchanged. Preston found no significant difference in property ownership, education, and slaveholding between the two groups. At the beginning of the war, enlistments were about equal, but Union recruitment rapidly outpaced Confederate efforts to the tune of three to one. The author attributes this disparity to the Union's continual occupation of the valley, its relatively benign treatment of the civilian population and economy, and the valley's geographic isolation from Confederate influence [e.g. they had to traverse rugged mountain passes, while navigable rivers were available to Union military movements and commerce]. Additionally, local pro-Confederate political leaders lost all influence in the area when it came under permanent Union occupation in late 1862. Originally formulated in 1984, it remains a convincing thesis. The main text of the Second Edition is nearly three times the length of the first, and the discussion of military events greatly expanded. Chapter length treatments of the battles of Ivy Mountain, Paintsville-Jennies Creek, Middle Creek, and Pound Gap are included, as well as Humphrey Marshall's second invasion of the valley and the Battle of Wireman's Shoals. The new volume also devotes much more attention to the 1863-1865 period, covering Marshall's third invasion, Morgan's Last Raid, and clashes at Gladesville, Turman's Ferry, Paintsville-Little Half Mountain, and Saltville. With new battlefield and campaign maps, the cartography is also much improved, if not spectacularly so. Not of much use to begin with, the first edition's large pullout map depicting James Garfield's Big Sandy campaign has been dispensed with. Instead two-page sets for each campaign were produced, a full-page operational map on the right, faced on the left by a campaign timeline. They work fairly well, although, for more clarity, I would have preferred the more traditional directional lines versus the often jumbled look of the large block path arrows. The battle maps (Paintsville and Middle Creek), while good, were reproduced from other sources, and one wishes for more of them, especially one for Ivy Mountain. The appendices run over 200 pages, the majority of these comprising rosters of the 3,700 Big Sandy Union and Confederate soldiers, divided by side and county. Lists of battles, valley slaveholders, election results, and soldiers who served in both armies are also present. The research is solid overall, with a good amount of manuscript research, supplemented by government records, newspapers, books, and articles. Greatly expanded in length and depth, The Civil War in the Big Sandy Valley of Kentucky, Second Edition is an essential new volume for students of the military campaigns and social patterns of the inhabitants of SE Kentucky. Highly recommended. * - The author does not have a website for his book (nor does the publisher, a self publishing outfit) but, if you'd like to purchase the book, Preston recommends his online partner. I've found the proprietor there to be reliable. 1. Bluejackets and Contrabands: African Americans and the Union Navy by Barbara Brooks Tomblin (Univ. Press of Kentucky, 2009). Tomblin's study examines the symbiotic relationship between the U.S. Navy and black southerners along the Atlantic seaboard. Slaves were freed by the thousands and makeshift colonies established through coastal raids and occupation. In turn, the navy received knowledgeable spies, guides, and pilots. I'm not entirely sure, but I believe this is the first book length treatment of the subject. 2. The Beat of the Drum: The History, People, & Events of Drum Barracks Wilmington, California by Don McDowell (Graphic Publications, 1993). Just glancing through it quickly, McDowell's Drum Barracks (Camp Drum) study looks like it contains some worthwhile passages for students of the Civil War in the Far West. There's information about the post itself, some nice maps & illustrations, short biographies, and a brief California Column history. 3. The American Civil War in the Indian Territory by John Spencer (Osprey, 2006). On the face of it, the book looks like a reasonable introduction (with an emphasis on the war's later years). The artwork created for Osprey books has certainly improved in recent years. Sears: "CAMP NELSON, KENTUCKY: A Civil War History"
Camp Nelson was established in Jessamine County, Kentucky in 1863 with the dual intention of protecting the important Hickman Bridge crossing of the Kentucky River and creating a forward base for the Union army's planned invasion and occupation of East Tennessee. Eventually, the post was composed of hundreds of buildings surrounded by strong fortifications. The camp wore many hats, and became known to posterity mainly as a refugee and freedman's camp, a major center of black recruitment in the state. 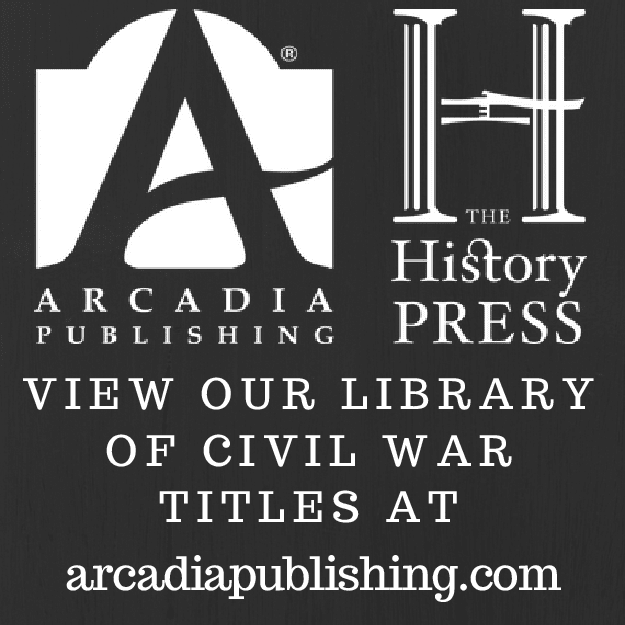 Historian Richard Sears's Camp Nelson, Kentucky: A Civil War History is a documentary history of the facility, its ably selected collection of materials tracing sequentially the changing primary roles assumed by the camp during the Civil War years and beyond. It must be noted that Sears's nearly 70-page Historical Introduction, a fine long form annotated essay, is the only narrative element of his study. The rest of his book will appeal mainly to researchers with a specialized interest in the subject material. The vast bulk of the volume is a collection of documents, organized by chapters outlining Camp Nelson's many phases of expansion and development. Thus, it begins with the military establishment of the camp, and moves on with chapters devoted to black recruitment, refugee management, and missionary work. As a military supply conduit, Nelson proved to be a failure (problems of time and distance were insurmountable), and the hopes of teachers and missionaries such as John G. Fee that the camp would prove instrumental in integrating newly freed slaves into Kentucky society would be dashed, but many black units were organized and trained there for service in the field. The hundreds of historical documents collected by Sears include official reports, private letters & memoirs, newspaper articles, court papers, and inspection reports, among others. It really comprises an impressive collection of primary source material. Additionally, each piece is annotated, with the notes, which range from simple source citations to fairly extensive explanatory notations, located immediately below the reproduced material for ease of use. The documents are also indexed. If there is cause for complaint with the study, it would be in the paucity of illustration and lack of a bibliography. A small photo gallery is present, but no map of the camp or its environs was included. Camp Nelson, Kentucky is an expansive, well edited, and valuable compilation of primary source material for military and socio-political students of the Civil War in the Bluegrass State to explore. It will also serve as a great resource for the study of Ambrose Burnside's East Tennessee campaign, an operation that is yet to receive a book length treatment. Recommended. Caxton Press is a small but prolific outfit out of Idaho whose mainstay is western-themed books. They are also the distributor for a number of other publishers, including University of Idaho Press. The Indian conflicts that raged throughout the West are a heavy focus of their work. 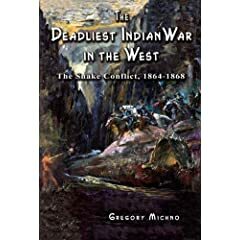 Back in 2007, I mentioned Gregory Michno's Deadliest Indian War in the West: The Snake Conflict, 1864-1868 . It's been well received since, and I finally hope to get around to reading and reviewing it by the end of this year. Last May, Caxton published Rod Miller's Massacre At Bear River: First, Worst and Forgotten . Whether it improves upon Brigham Madsen's excellent, almost 25 year old study, Shoshoni Frontier & Bear River Massacre (often asserted to be the standard work on the subject) remains to be seen. 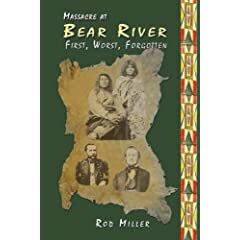 In an earlier post, I lamented the paucity of Civil War period books about California and its volunteers, but the events at Bear River have received a fair amount of attention by writers, Miller being the most recent. This month will see the publication of Battlefields of Nebraska by Thomas Phillips. From the look of it, it's a fairly comprehensive overview of the conflicts within Nebraska's borders between whites and Indians between 1825 and 1880. The Civil War years, especially 1864, receive significant attention. This one will also be reviewed. 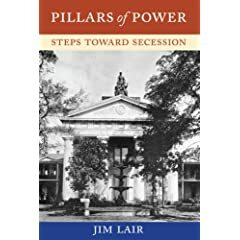 Lair: "PILLARS OF POWER: Steps Toward Secession"
Pillars of Power, the first of a planned four volume social, political, and military history of Civil War Arkansas, takes readers from the secession crisis through 1861. 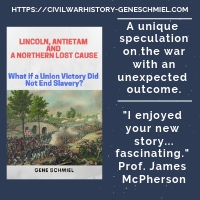 If everyone goes according to the author's plan, the second book will cover events between Pea Ridge and Prairie Grove, the third Fort Hindman (Arkansas Post) to Pine Bluff, and the final volume the 1864 Camden Expedition through Reconstruction. The narrative flow and structure of Pillars of Power is a bit problematic, with a disjointed presentation, both thematic and temporal, that could have benefited immensely from aggressive editing. The first 140 pages, a ponderous journey through well trodden discussions of slavery and the theory & legality of secession [the author making clear his own opinion that secession was a legitimate, if not advisable, political option], wanders too much afield before finally settling down to covering Arkansas's situation. Fortunately, the book greatly improves from there. The debates within Arkansas's democratic institutions over secession, and how it was shaped both by internal social and class divisions (and by external events), is well managed by Lair. Evenhanded and informative, his chapter discussing the character and extent of southern unionism and dissent in the state (to include the organization and suppression of the Arkansas Peace Society groups) is especially good. Another chapter outlines the important role of the Arkansas Military Board in selecting leaders and in organizing and arming recruits. The final chapter, dealing with Arkansas's women, exhibits a solid grasp of recent scholarship. These central narrative chapters sandwich others that are essentially source material compilations relating to the previous chapter's subject matter. While the collected documents might prove useful to readers, the appendices might have been a better place for the material. Too many typos are present, as well. The bibliography indicates a sound effort at assembling a range of primary and secondary materials. Manuscripts (most located in Arkansas institutions), newspapers, government records, books, and articles were consulted. The appendices are populated by numerous documents (e.g. ex-slave narratives, correspondence, and the state's secession ordinance) and tables. The latter include slaveholder data, lists of secession delegates and Peace Society members, and military unit and leadership (Confederate and Union) information. The volume suffers from the lack of an index, though perhaps the final book in the series will include one. Although I have significant problems with Pillars of Power, there is half of a good book in there, the quality of which leads me to cautiously look forward to the next entry. With only summaries of actions occurring outside Arkansas during 1861 in Volume I, it remains unclear how much military detail the author intends for his series. Hopefully, with the general background material out of the way, Lair will be able to better direct his efforts toward a more cohesive narrative of perhaps the most fascinating year (1862) of the Civil War in Arkansas. The mega battle history (by this I mean the intensely detailed, regimental scale or below, microtactical study of a single, reasonably large battle, often hundreds of pages in length accompanied by a full slate of maps) seems to be an increasingly rare bird in Civil War publishing. I am certain there are a variety of reasons for it, the scarcity of neglected subjects not one of them. Near the end of 2008, when I was compiling my favorite titles of that year in several categories, even with combining campaign and battle studies, my mental list of good nominees was really too small to make a choice from it stand apart. It appears the situation will be little different this year. John Schmutz's The Battle of the Crater: A Complete History fits most of the above description, but there's not much else out there to be had in 2009. A possibility is Columbus, Georgia, 1865: The Last True Battle of the Civil War by Charles A. Misulia [(Univ. of Alabama Press, Nov. 2009). Hardcover, 489 pages]. It is odd that this title is not mentioned in the press's Fall-Winter catalog, and I have no information about it beyond the bare bones Amazon page. Perhaps it's a reprint. I don't know. [ed. it is a new study available in early 2010, see comments section] The beginnings and endings of wars have always been of greatest interest to me, so I am hoping this one is worthwhile.